We can certainly help you with Life Insurance Approval with manic-depressive disorder!! We know it can be frustrating searching for a life insurance policy with a history of Manic-Depressive Disorder. Can I Qualify for Life Insurance if I have Bipolar Disorder? Yes, most individuals with Manic-Depressive Disorder will be able to qualify for traditional life insurance, the type of insurance which requires a medical exam. Best Case Scenario – If Manic-Depressive Disorder is diagnosed and symptoms of uncontrolled euphoria or severe depression is contained and has been stable for a year, the chances of getting the best rating at “Standard” rating is high. Click here for quote at “Standard”. If Bipolar Disorder, however, has a history of more than one mild “rapid cycling” episode, then a “Mild Substandard” rating may be more appropriate. It is, however, important to establish that there is compliance to treatment and symptoms of agitation or suicidal tendencies are controlled. Click here for quote at “Mild Substandard”. Moderate Case – Those with side effects from long-term use of Lithium treatment such as nausea, fine tremors and weight gain, but whose symptoms are mostly controlled and the individual shows no active suicidal tendencies may still qualify for a “Medium Substandard” health class. Click here for a quote at “Medium Substandard”. How many years have you been diagnosed with Manic-Depressive Disorder? Manic-Depressive Disorder is a controllable condition, but the symptoms and complications if not managed well can result to life threatening situations like suicide. It is important to identify the incidences and frequency of manic or depressive attacks before an appropriate rating can be given. Those that have been stable for a year with no “rapid cycling” attacks may qualify for the “Standard” health class. Have you experienced any symptoms within the last twelve months? Symptoms of irritability, agitation, sleep problems or concentration difficulties may be flare signs of a Bipolar Disorder attack. These symptoms will have to be assessed if mild or moderate before an appropriate rating can be determined. Most cases with recent mild symptoms, but are controlled by medication may qualify for a “Mild Substandard” or “Medium Substandard” rating. 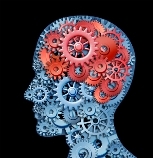 Compliance is very important in the control of symptoms of Manic-Depressive Disorder. If your symptoms of delusions, hallucinations, hopelessness and sadness are controlled then the chances of getting a “Mild Substandard” or “Medium Substandard” rating are high. Do you have regular check-ups with your psychologist? Regular visit to your psychologist is very important because it accompanies your compliance marker with your treatment and management plan. Your doctor’s medical evaluation will be used to determine the most appropriate insurance rating. Do your mood swings affect your activities of daily living? If you have been stable for a year and are able to function normally, then the chances of getting the “Standard” rating is high. If you have developed hyperthyroidism due to the long-term use of Lithium or has shown signs of schizophrenia as a complication of Bipolar Disorder, then you would need a more thorough evaluation before a rating can be given. Do you have suicidal tendencies? A tendency to want to end your life is a major factor to consider in your health class rating. If you have suicidal tendencies a more thorough medical investigation will be required before a rating can be given. Manic-Depressive Disorder, also known as Bipolar Disorder is a behavioral condition characterized by mood swings from increased euphoria to sudden episodes of depression. The hypomania attack is unlike general depression because the latter usually lasts for more than 6 up to 24 months only, whereas, the former is classified chronic because the symptoms persist for more than 2 years. In addition, manic attacks are observed in between depression episodes in Bipolar Disorder, which are not observed in general depression syndrome. Mania attack in Bipolar Disoder show signs of hyperactivity, anxiety, agitation, talkativeness, impulsivity, irritability, flight of ideas, sense of grandeur, marked social extroversion, increased pleasure seeking behavior, impaired judgement and decreased sleep. In severe cases, dellusions, hallucinations and paranoia may be observed. Mania symptoms usually last for days, several weeks or between 8 to 12 months. Then sudden depression sets in bettwen manic episodes. If patients have more than 4 episodes of mania and depression in a year, it is referred to as “rapid cycling”. Bipolar depression, on the other hand, shows feelings of sadness, emptiness, hopelessness, agitation, irritability, loss of energy, lack of appetite, fatigue, loss of interest in usually pleasurable activities, sleep problems, guilt feelings, memory and concentration difficulties, sluggishness and thoughts of suicide are present in severe cases. Lithium is the most popular treatment of choice for Manic-Depressive Disorder. However, there are several adverse effects of this drug including stomach upsets, diarrhea, nausea, weight gain, edema, excessive urination, hair loss and skin rashes. Prolonged use, however, may cause serious side effects such as poor memory and concentration, motor incoordination, tremors, involuntary muscle movements and speech difficulties. See all our other articles on Mental Health Issues and Click Here!